Expansion efforts • Proponents of a Greater Canyonlands National Monument say it would complete an original vision; critics fear less access. The journey from the Upheaval Dome trailhead to the Green River passes through 100 million years of the Earth&apos;s history, beginning with Jurassic-era Navajo Sandstone and winding down to the 250 million-year-old White Rim that forms the ledge over the park&apos;s inner canyons. The intriguing geological puzzle  did a meteor impact from above create the crater, or a gradual uplift from below? 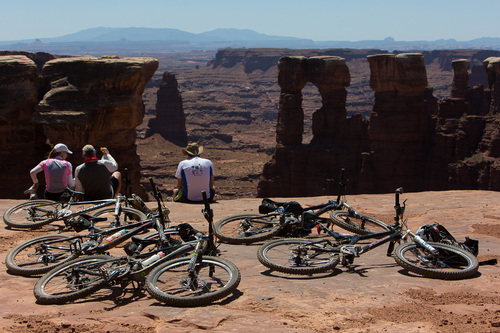  is inside Canyonlands National Park, created 50 years ago this week. But the view across the Green River, like the view from most of the park&apos;s vistas, is of scenery outside its boundaries. A debate over the size of Canyonlands, begun decades ago, is still underway, fueled today by hopes and fears that the Obama administration may designate a Greater Canyonlands National Monument around the now 334,000-acre park. The Canyonlands landscape covers 2.5 million acres south and west of Moab, says Walt Dabney, the park&apos;s superintendent in the 1990s. This erosion basin, once filled with sediments deposited over millions of years, was carved by Utah&apos;s two mightiest rivers into labyrinths of sandstone among mesas, towers, grabens and countless formations that Dr. Seuss may have emulated in his famous children&apos;s books. Some day its mesas could be mined for tar sands. Much of the land surrounding the current park is available for drilling, ATV riding and other uses could conflict with the scenic, scientific and archaeological values enshrined in the park. "The initial 257,000 acres of the park was a total political compromise which makes no sense on the ground," says Dabney, who has returned to Moab after serving as Texas parks director. 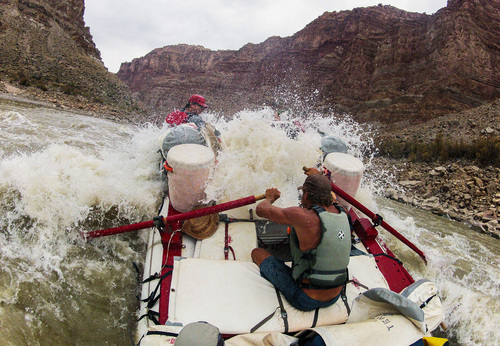 &apos;Canyonlands is our bedrock&apos; • Dabney will join author Terry Tempest Williams, Moab activist Emily Stock and Grand Canyon Trust executive director Bill Hedden on Friday in Moab&apos;s Star Hall for a film screening and panel discussion timed with the park&apos;s 50th anniversary. 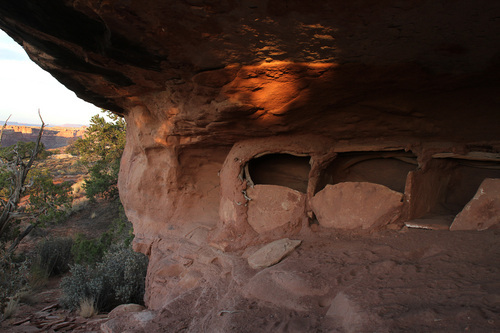 The trust is part of a coalition urging the Obama administration to create the broader Canyonlands monument. While such a move would be hotly opposed by political leaders in Grand and San Juan counties, a larger monument would complete Stewart Udall&apos;s conservation vision dating to when the then-interior secretary first proposed a park, according to Williams and Dabney. "Landscape is what becomes us. If we see our natural heritage only as a quarry of building block instead of the bedrock of our integrity, we will indeed find ourselves not only homeless but rootless by the impoverishment of our own imagination," Williams told a legislative panel last year. 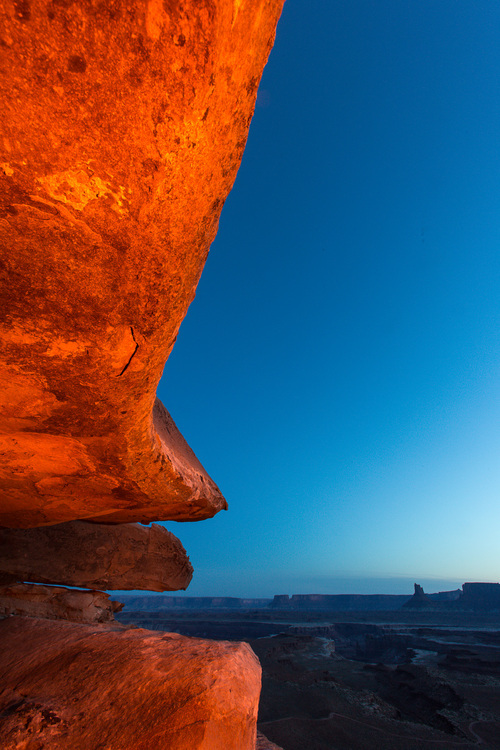 "At a time when we hardly know what we can count on in a country of shifting values and priorities, Canyonlands is our bedrock, a geologic truth that we all share, the eyes of the future are looking back at us, praying that we may see beyond our own time." 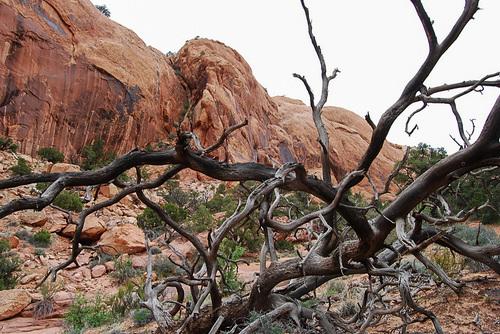 The renown nature writer was speaking in favor of a resolution asking Congress to preserve Greater Canyonlands as "a natural, undeveloped area for the recreational use and enjoyment for Utahns and Americans for generations to come." Williams told the Senate panel about taking her adopted son, Louis Gakumba, a genocide survivor from Rwanda, to Canyonlands soon after he arrived in Utah. "He said, &apos;Had I known this I would be less fearful of death.&apos; He thought he had arrived in heaven," Williams said. "This is the reservoir of our spirit. It belongs to all of us. It&apos;s not liberal, it&apos;s not conservative. It&apos;s what makes us human." Debating use • Her audience, comprised mostly of Republicans from rural areas, declined to advance the resolution. Critics fear further restrictions on Utah&apos;s federal land would impede rural development and public access. But the monument remains a strong possibility. 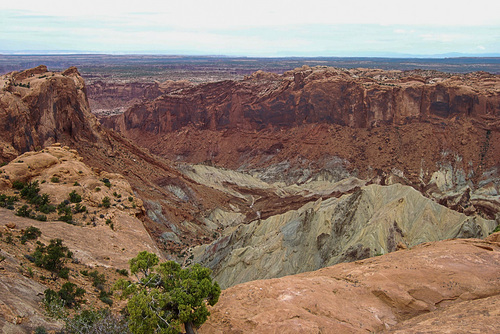 The Greater Canyonlands Coalition is calling for 1.4 million Bureau of Land Management acres and another 300,000 acres of the Manti-La Sal National Forest to be set aside. Existing mineral leases, grazing allotments and 2,500 miles of ATV routes would remain. But a designation would trigger the creation of a management plan that could limit future uses, according to Tim Peterson of the Grand Canyon Trust. It could also clear a pathway for the state to exchange 155,000 acres of school trust lands inside the proposed monument&apos;s boundaries. The outlines would form an oval around the park, about 60 miles west to east, between State Route 24 and U.S. Highway 191, and 90 miles north to south. It includes all of Dark Canyon Wilderness Area, Natural Bridges National Monument and part of Glen Canyon National Recreation Area. It also includes places under pressure for oil drilling and potash exploration near Hatch Point outside the Needles District. The plateau to the north of Island in the Sky is already pockmarked with new wells and rigs. Freshly laid pipelines crisscross these lands with more on the way. 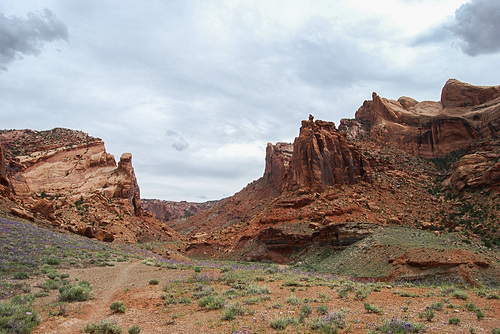 Dabney fears similar development soon could unfold outside the park&apos;s eastern margins in the Canyon Rims area unless the president or Congress takes action. "There is no higher and better use for it," Dabney says, "If you conserve this particular piece, it would be the only park in the national system that you could call complete and makes sense."